Johann Joseph Cajetan was born at 07.08.1778 in Klosterfreiheit and has married 1807 in Wernstadt / Bohemia the born there Barbara Mattausch. His parents-in-law were the surgeon and court-assessor Ignatz Mattausch und the from the Austrian Dürekrut descending Magdalena born Fröhlich. 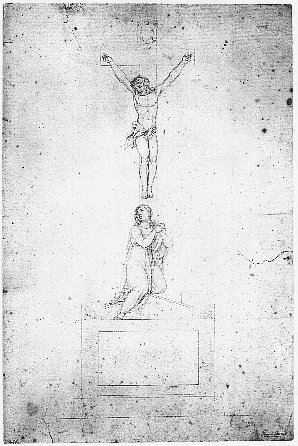 Joseph worked this time as a draughtsman, so that it could in fact possible, that the, by Prof. Förster discovered, Viennian engravings and etchings of a Joseph Gareis are from him. If he learned drawing at the Dresdner Kunstakademie or at the Meißner Zeichenschule is to proof. His career is still lying in the dark. If he was inspired through a friend of the family, the Ostritzian sculptor Joseph Jäntsch, and absolved a study in sculptor's art, is unknown. Possibly is also Johann Georg Mattausch, who as sculptor 1756 made in the near Görlitz the Neptunbrunnen at the Untermarkt, related with his wife. It stays fast, that he returned 1811 married and with two sons to Ostritz and worked since that time as a sculptor. He died at 14.04.1844 in Dresden in the age of 66 years and left behind five sons and three daughters. One of this sons was the sculptor Wilhelm Gareis, my ggg-grandfather. About the other children is nothing known, yet. After newest references another son, Ferdinand Gareis, should been a sculptor, too. Unfortunately it was till now not possible to me to get confirming documents.